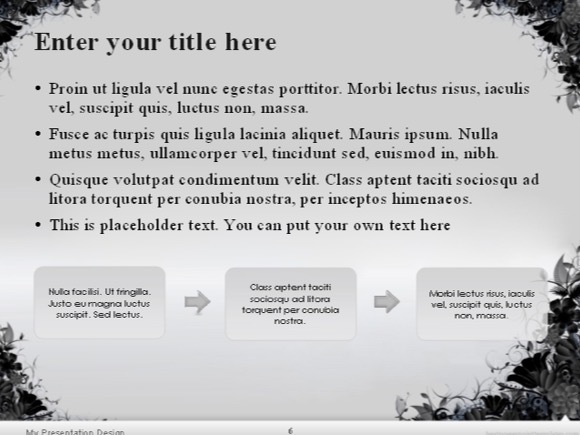 Grunge floral PowerPoint template - FREE! 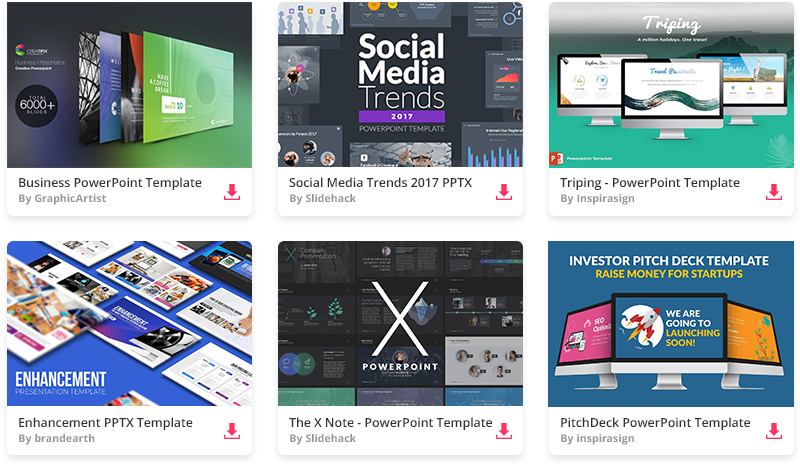 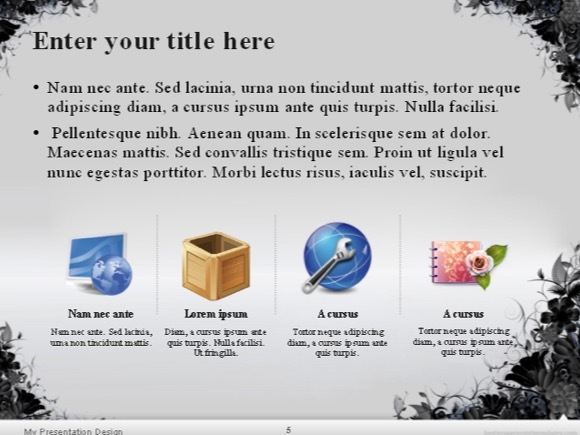 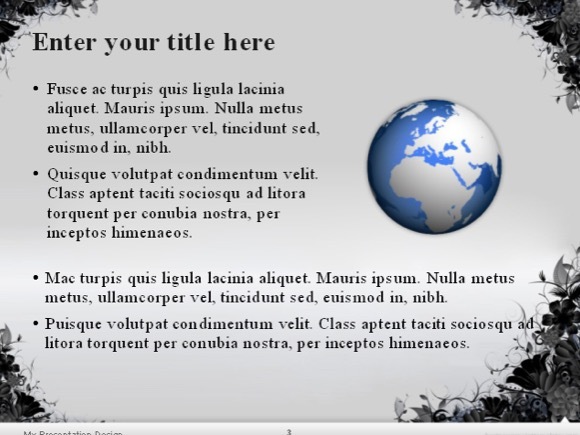 Another free and very creative PowerPoint template. 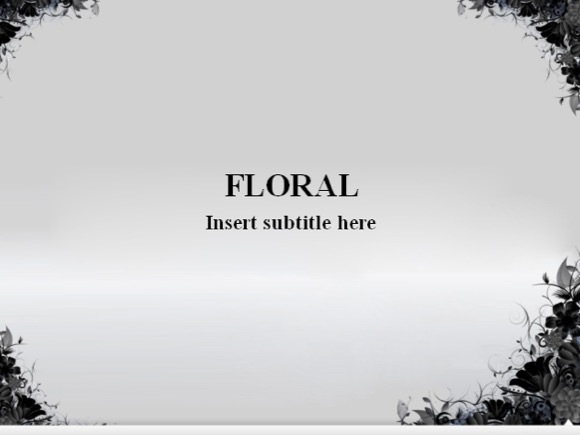 Use this grunge floral template when you want your presentation to look extra special. 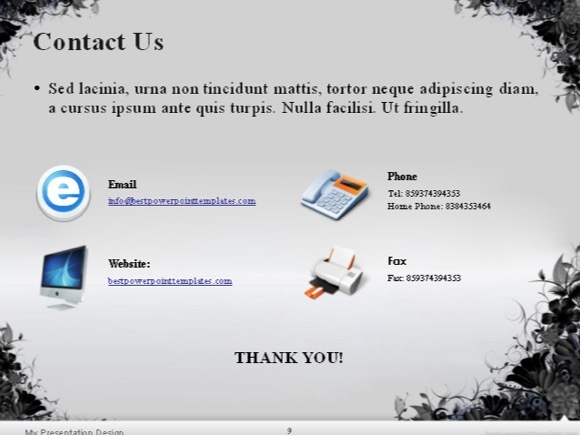 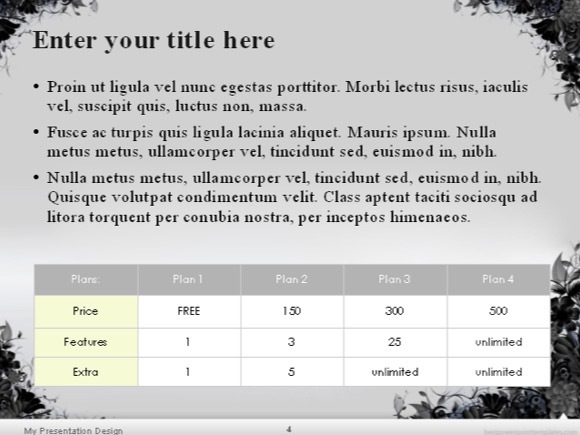 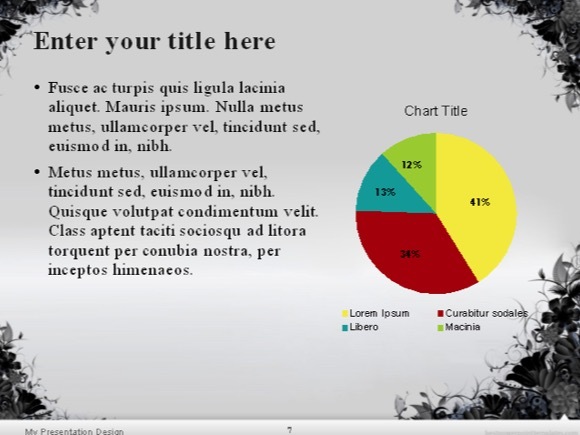 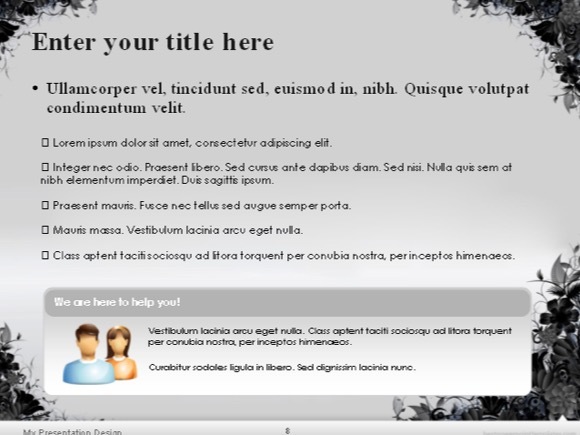 The main color accent of this PPT template is grey.